Bowling was introduced as a Special Olympics sport in 1975. 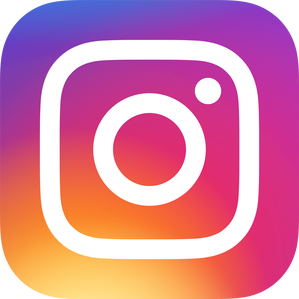 Ten-pin Bowling commonly called “Bowling” in the US, is a competitive sport in which a player (the “bowler”) rolls a bowling ball down a wooden or synthetic lane with the objective of scoring points by knocking down as many pins as possible. 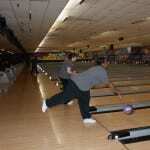 Bowling is considered to be among the most popular sport in the Special Olympics. It is a particularly beneficial sport to people with intellectual disabilities, irrespective of their age or sports abilities, since it ensures physical exercise and at the same time participation and social integration. 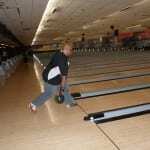 Special Olympics Philadelphia currently offers singles bowling as part of our community program. 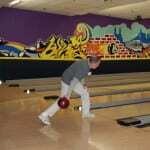 Bowling is mainly a Spring and Summer sport and training is usually from September to June. Special Olympics Bowling allows for the use of bowling ball ramps by athletes who do not have the physical ability to roll a ball with their hand or hands. Additionally, Special Olympics allows bowlers who complete at least three frames and cannot continue to receive one-tenth of their average per remaining frames toward their event score.